I treat May in a similar fashion as I do Lent. Not as a time of penance, but as a time to take on something more in terms of my prayer life. Since May is the month of Mary, I try to deepen my Marian devotion in some way. Do you do anything special for May? If not, consider taking up some spiritual reading about the Blessed Mother. There are many types of prayers associated with Mary. Most common would be the Hail Mary, the Memorare, and Hail Holy Queen. 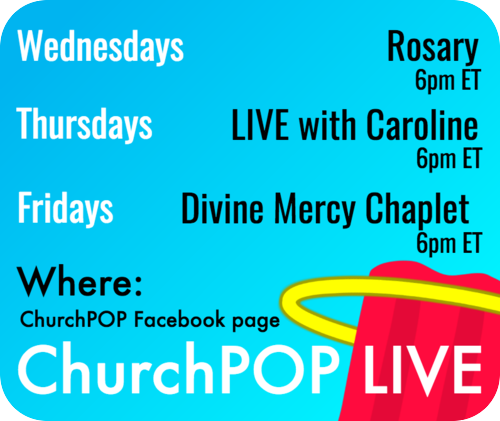 We know of devotions like the rosary, but are you familiar with the Angelus? Jean Francois Millet captured the essence of the Angelus in his painting of the same title, in which a farmer bows his head in quiet prayer. If you hear church bells ring at six, noon, and six, they ring to signal it is time to pray the Angelus, a devotion which recalls in three strophes the annunciation, Mary’s response, and the incarnation. 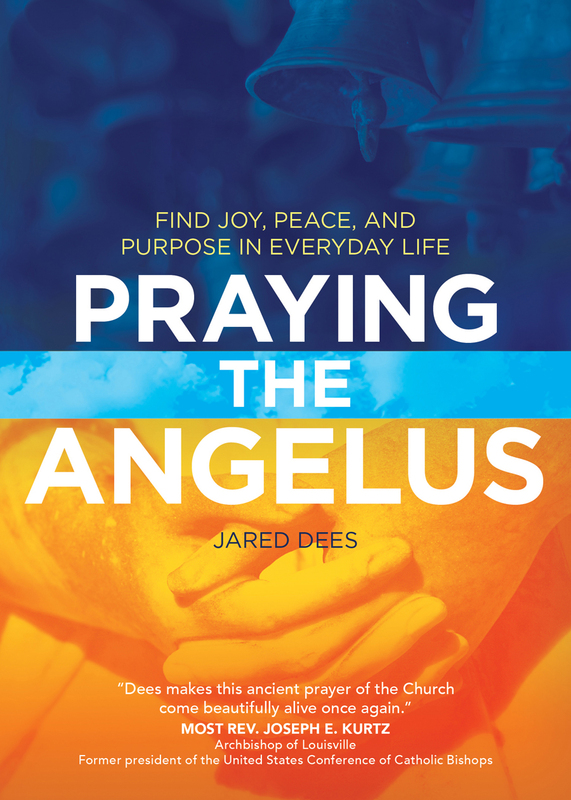 In a testimonial fashion, Jared Dees shares his own experience with praying the Angelus and then tells us why we should pray it in our daily lives. In the latter portion of the book, Dees provides reflections on each phrase of the Angelus, allowing us to grow in our understanding and appreciation of the devotion. During the Easter season, the Church replaces the Angelus devotion with the Regina Caeli, meaning Queen of Heaven. Confused? Get Dees book, and let him teach you about the riches contained within Angelus and Regina Caeli devotion. Available from Ave Maria Press and Amazon. 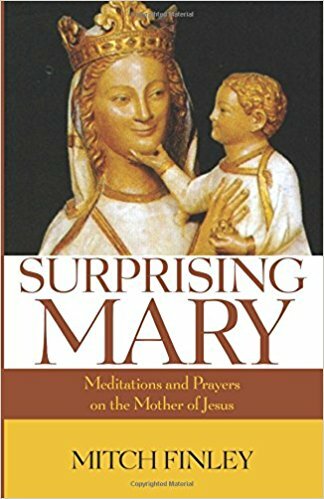 Catholic author Mitch Finley released a re-print of his Marian book Surprising Mary. The book contains four sections, which show a very well balanced approach to Mary. The book opens with a series of reflections about Mary from the sacred scriptures. The second part examines Mary within the framework of our Catholic liturgy, especially the many liturgical feasts focused on the mystery of Mary. Marian apparitions are the subject for the third part. The last section provides many of the different Marian prayers from our Catholic tradition. This book of meditations will help anyone who reads it fall more in love with Mary and understand her role in salvation history. Available from Wipf & Stock and Amazon. The Dominican Sisters of Mary, Mother of the Eucharist, from Ann Arbor, Michigan, have compiled a Manual for Marian Devotion, with a two-fold purpose: to teach and to aid a person’s Marian devotion. 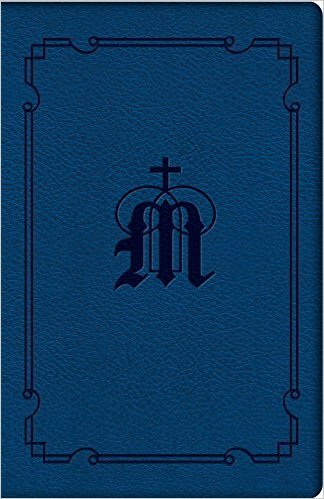 The Manual provides background to the Catholic Church’s rich history of Marian devotion and seeks to answer the tough questions people might have. 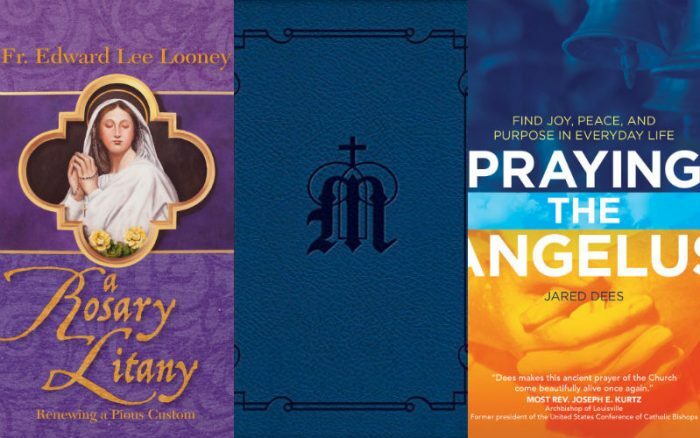 The second purpose of the book is to enhance a person’s devotion to Mary. Want to take your understanding of Mary to a new level? This might be the guide you’ve been looking for. Did you know that there are many flowers that have a Marian connection? 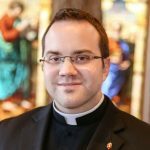 I’m willing to bet that there are some you never thought of that are connected to the Blessed Mother. Given this rich history, many people plant what is called a “Mary Garden” which comprises many of Mary’s flowers. Typically such a garden would be planted by a statue of Mary. Do you have a green thumb? Would you like to combine your love for the Blessed Mother and gardening? 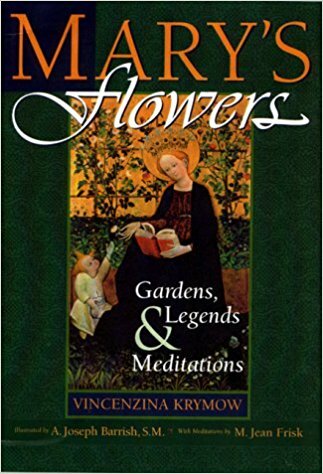 Then I encourage you to pick up this book and learn the story of Mary’s flowers. Available from Flores Mariae Publishing. Over a year ago, I authored a little devotional book which renewed a pious method of praying the rosary recommended by the saints: St. Louis de Montfort, John Paul II, and Bl. Paul VI. 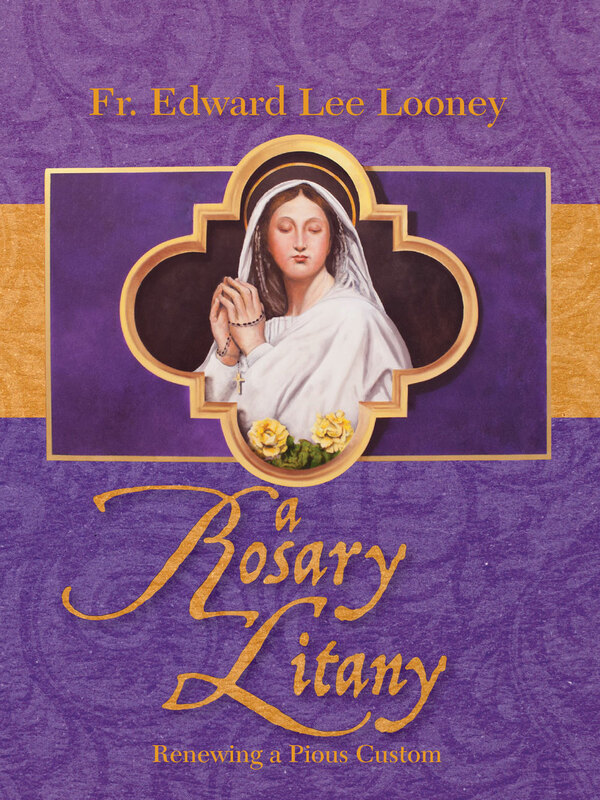 Since the book’s publication, it has transformed how people pray the rosary. Every week I receive messages and emails from people who have found A Rosary Litany to be a big help to their spiritual life. Since this May celebrates the 100th anniversary of Mary’s apparitions in Fatima, I’d encourage you to foster a devotion to the rosary. This was the request Mary made to the three shepherd children during each apparition: pray the rosary every day. If you find the rosary difficult, consider trying the method proposed in A Rosary Litany. You can read more about this book in this article. Available from Flores Mariae Publishing and as an Audio CD.